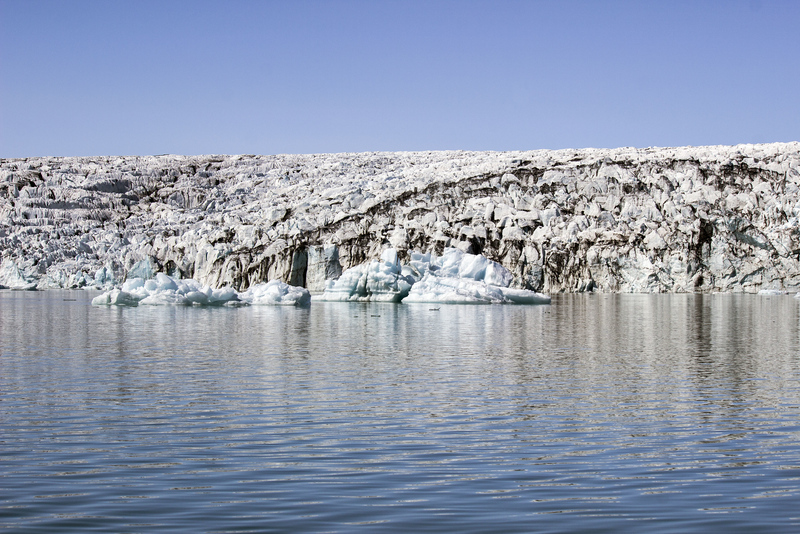 Experience the stunning landscape of the Jokulsarlon glacier lagoon on a Zodiac boat tour. 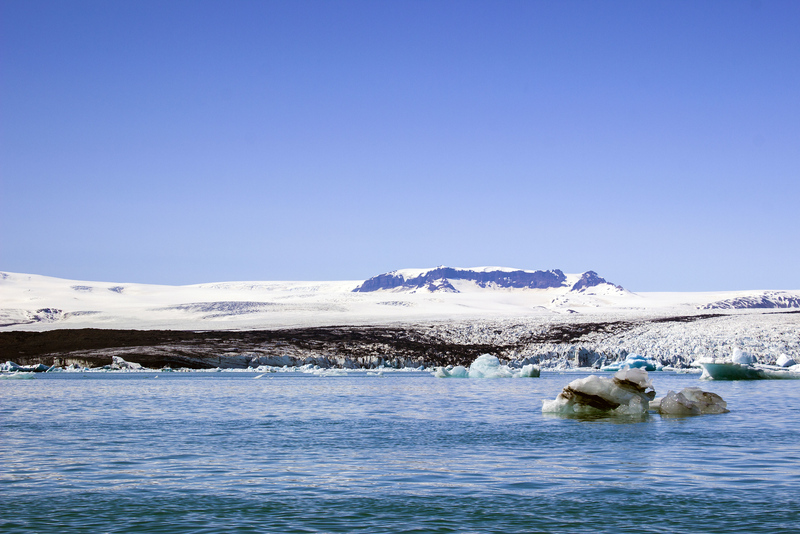 Jökulsárlón is one of the greatest natural wonders of Iceland. You really can’t miss it, even from the road. 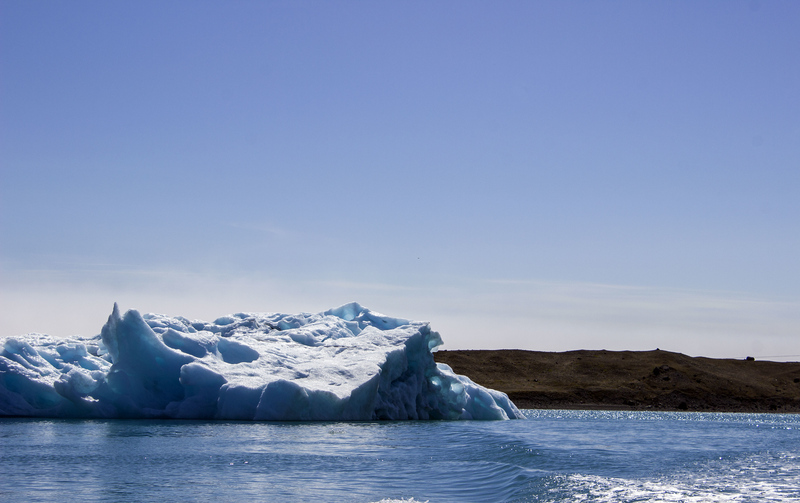 As we approached Jokulsarlon on the Ring Road, we were immediately in awe of the massive icebergs floating down the glacial lake. 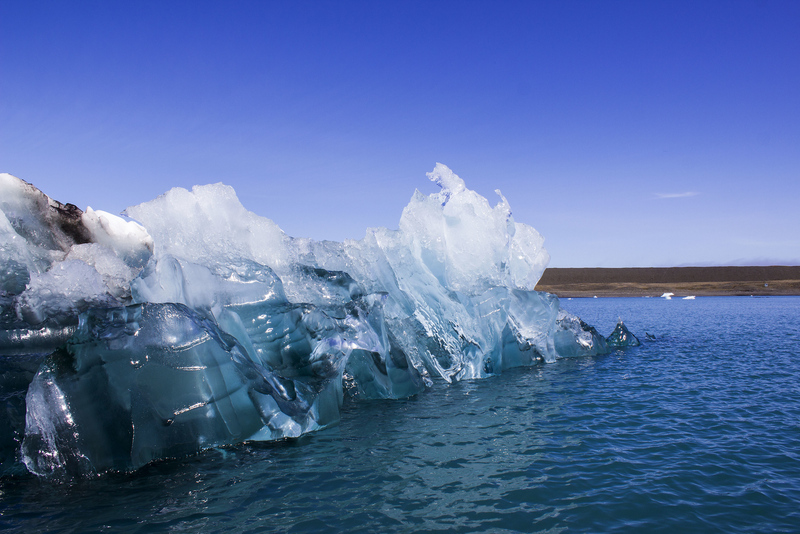 These huge ice blocks break apart from the Breiðamerkurjökull glacier and drift around the lagoon, eventually joining the Atlantic Ocean. 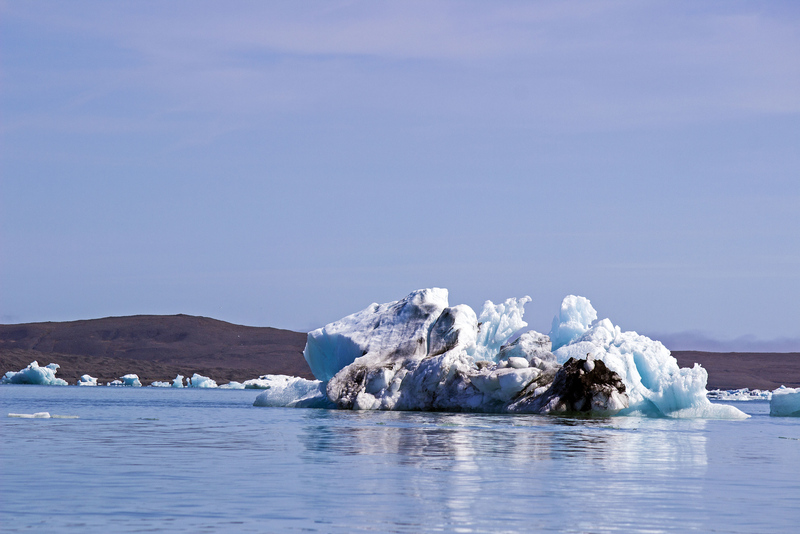 As the climate gets warmer, Jokulsarlon gets larger due to the melting of the glaciers. The lake itself formed only 60 years ago, and has doubled in size over the past 15 years. 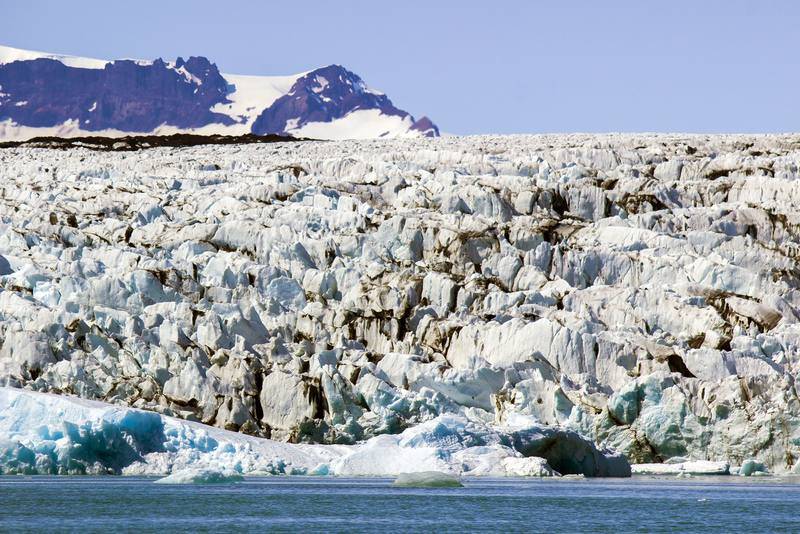 As the glaciers rapidly retreat, it will be interesting to see how Jokulsarlon changes over the years. 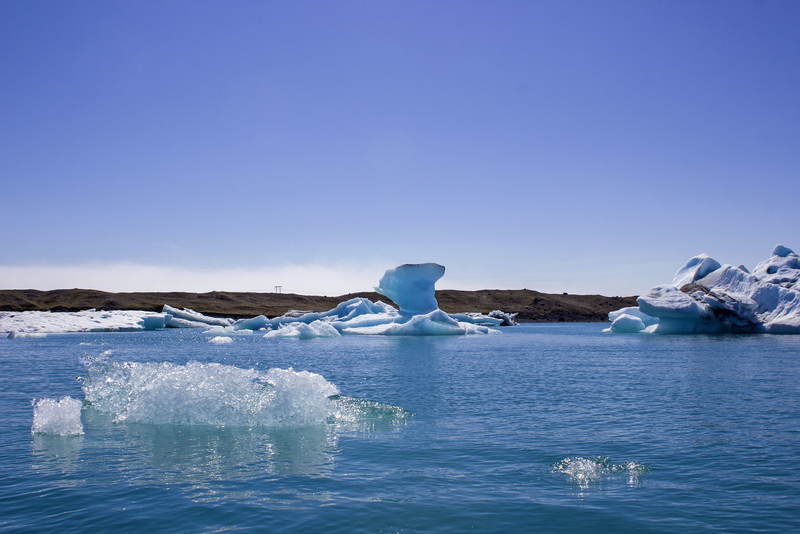 Only recently, it became the deepest lake in Iceland with a depth of 250 meters. 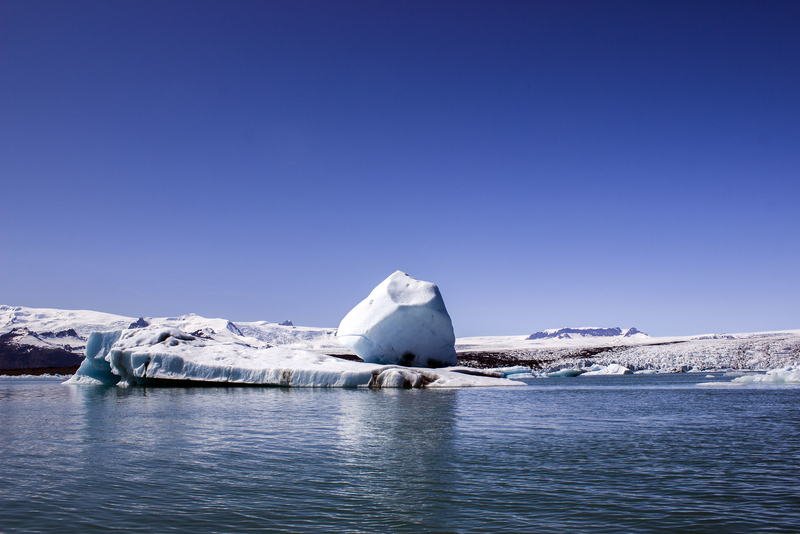 Have you visited Jokulsarlon before? 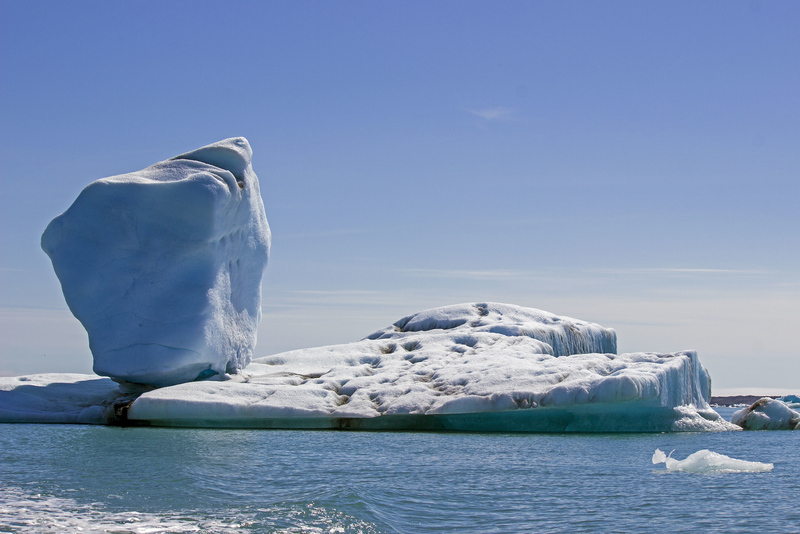 Have you seen icebergs in person? 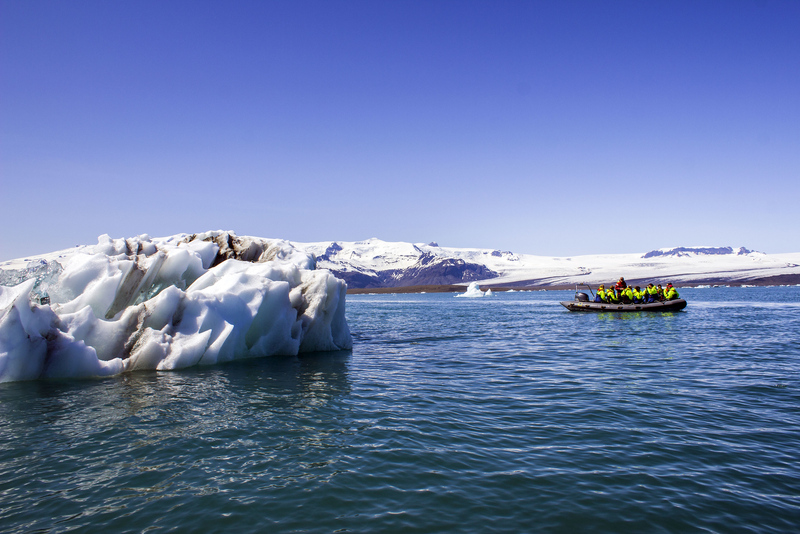 The best way to experience Jokulsarlon glacier lagoon is by taking a Zodiac boat tour. 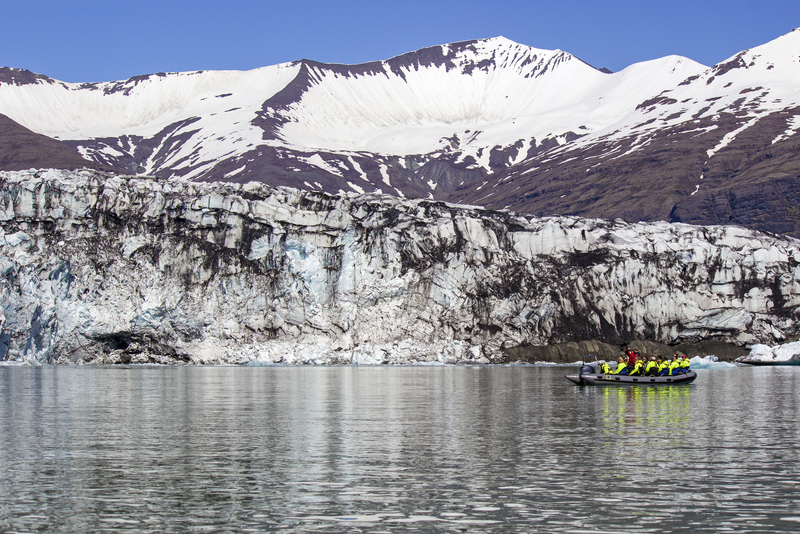 These smaller boats allow you to get right up close to the icebergs and the glacial wall. 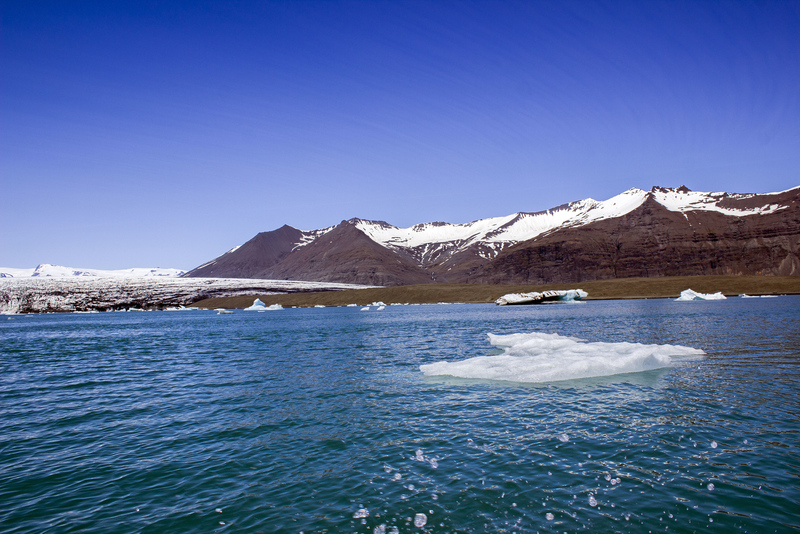 Tip: Be sure to reserve your Jokulsarlon glacier lagoon Zodiac boat tour well in advance. These tours fill up quickly, and you don’t want to be disappointed! Don’t fret if the Zodiac boat tour is fully booked. You can also experience the lagoon on the larger Amphibian boat. 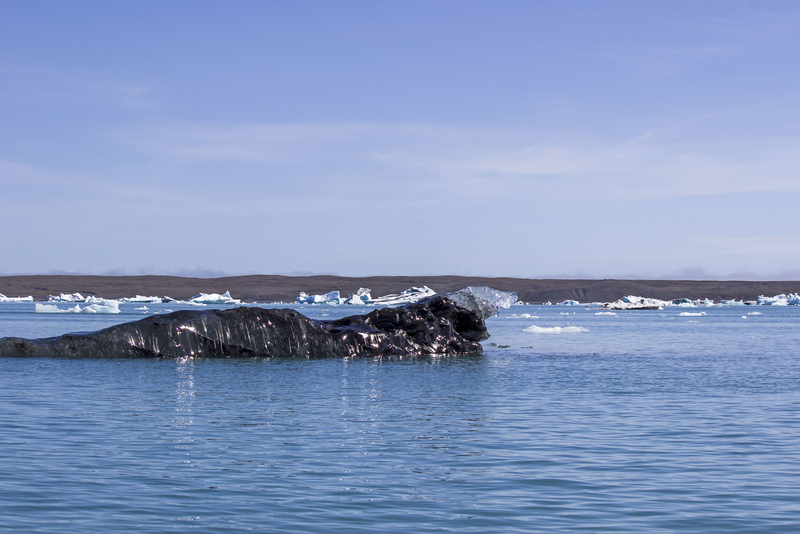 It’s even an incredible experience to admire the icebergs from the black sand shorelines. 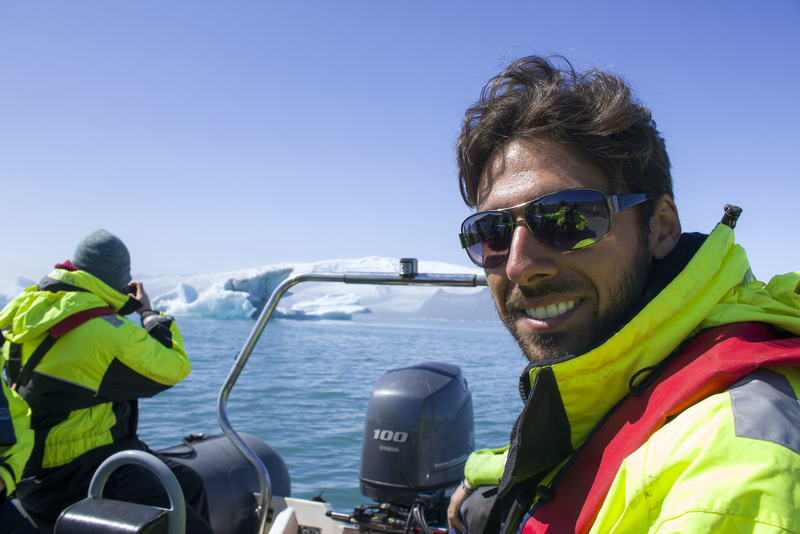 Justin and I took the Jokulsarlon glacier lagoon Zodiac boat tour. It was an epic adventure, nothing like I’ve ever experienced before. Don’t miss traveling here when you visit Iceland. 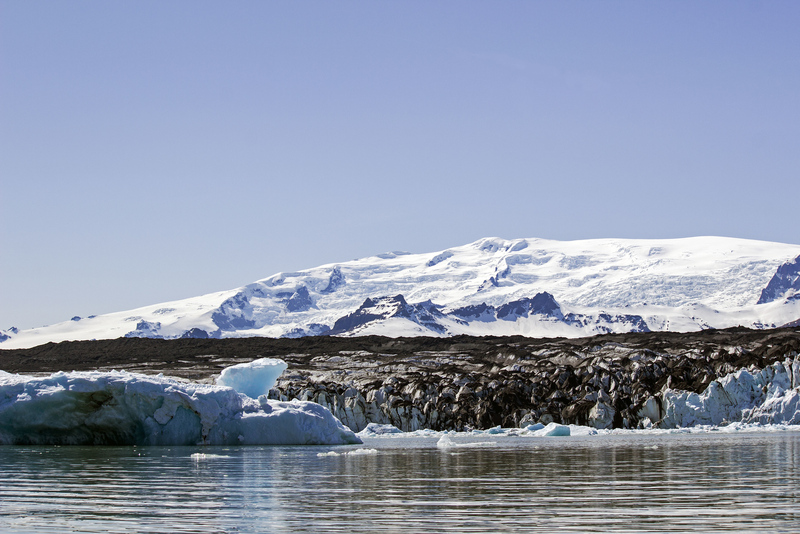 Even if you travel to Iceland for less than a week, find a way to incorporate this tour into your travel plans. 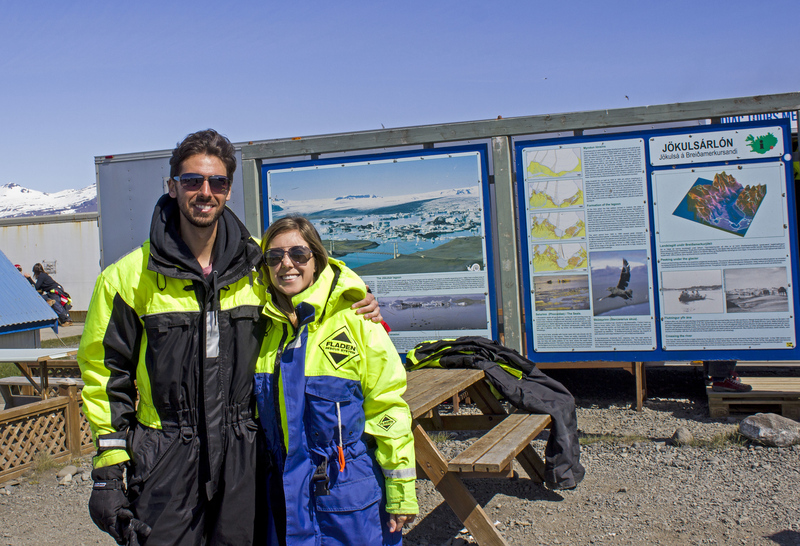 Justin and I zipped up our oversized one-piece winter attire, provided by the tour company and mandatory for the Zodiac boat tour. It can get so chilly out there, even on a warm, sunny day. And…we’re off! 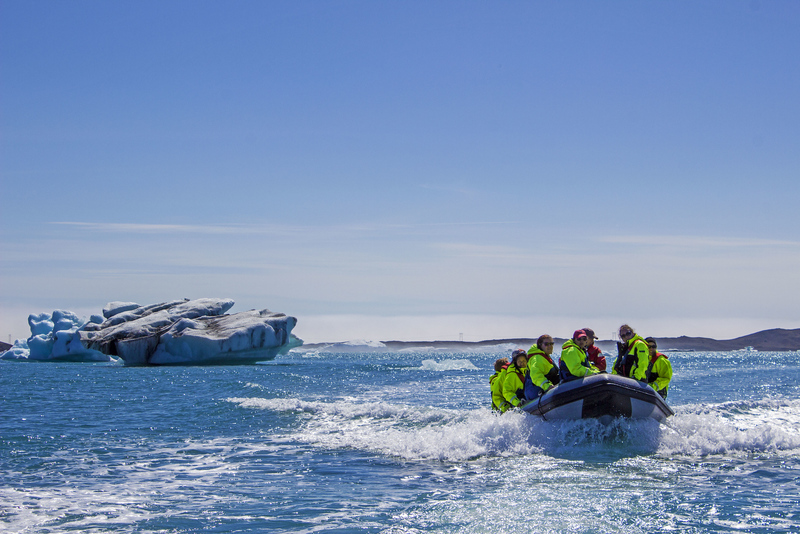 The Jokulsarlon glacier lagoon Zodiac boat tour takes small groups out to the lagoon, rides past numerous icebergs, and reaches the glacial wall. 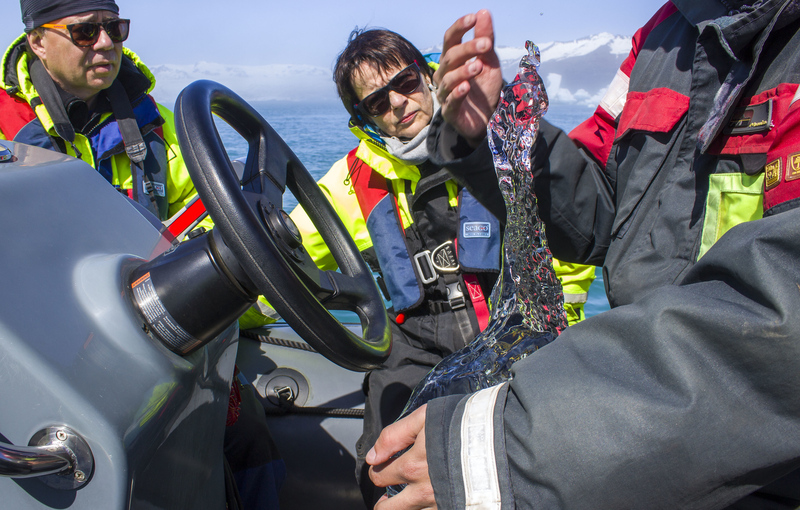 Our tour guide grabbed a chunk of ice that broke from a larger iceberg, and brought it on board. This ice was heavier than it looked! We passed it around, and I even gave it a lick. It’s not every day that you get to taste ice that’s over 1000 years old. 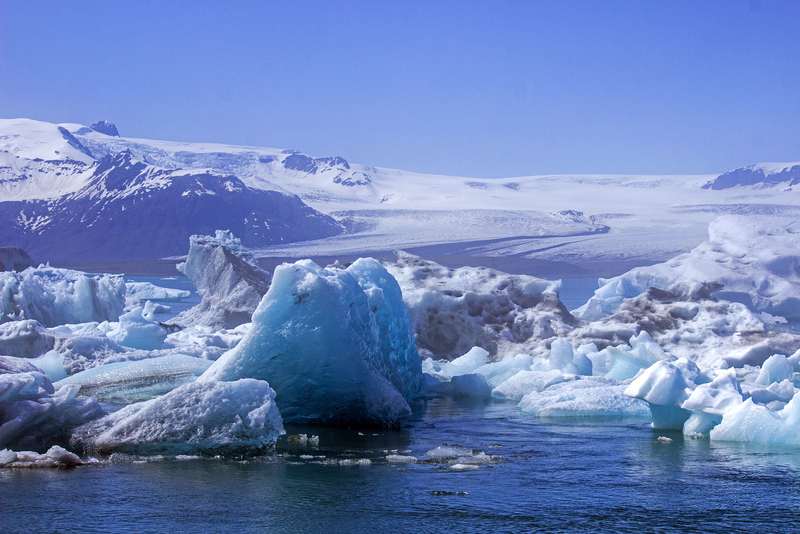 More than I can express in words, Jokulsarlon is simply stunning. I can’t recommend visiting it enough. I’m sure you’ll agree after viewing these photographs. 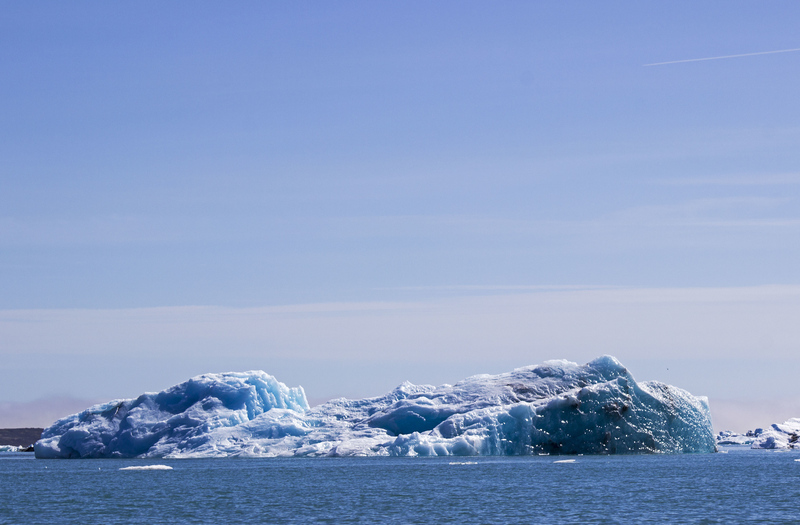 Here’s our trip in pictures, starting with our first glimpses of icebergs. 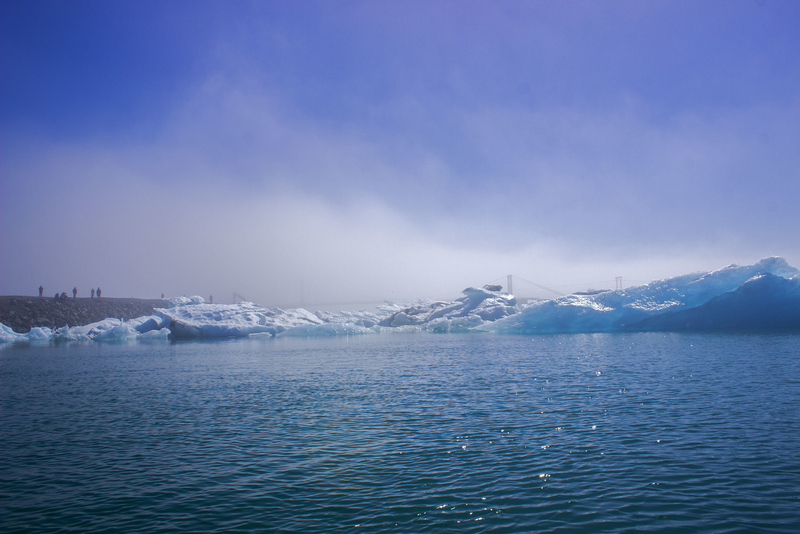 We heard the eerie, creaking sounds of ice breaking apart from the icebergs. It was fascinating to watch that sparkling, translucent ice splash down into the water. On the boat, we took a journey around the iceberg lake. 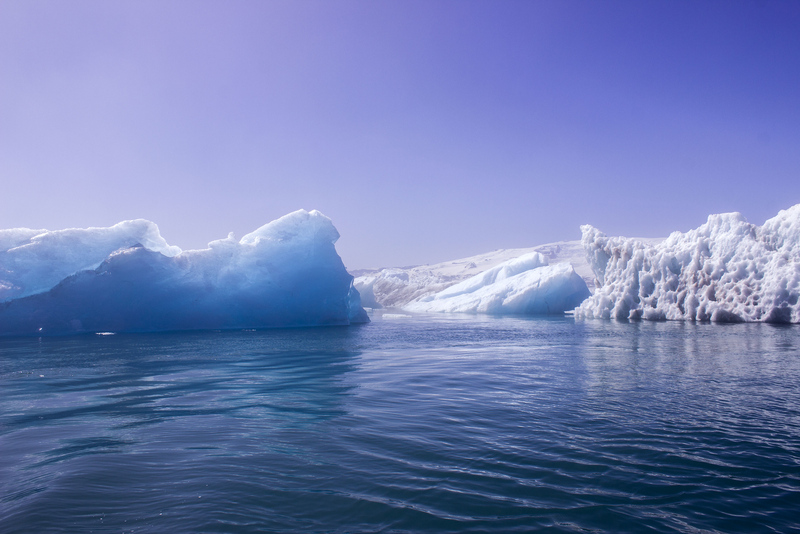 We were close enough to some of the icebergs that we could reach out and touch them. 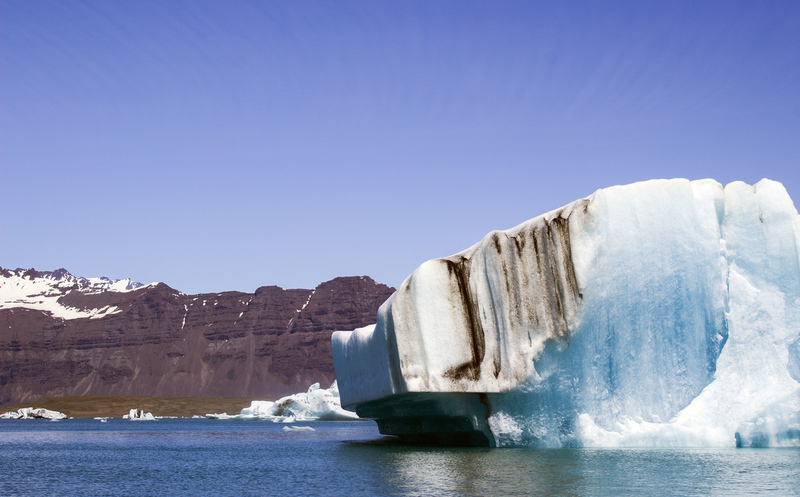 Some icebergs were blue; some were streaked with black, volcanic ash from ancient eruptions. 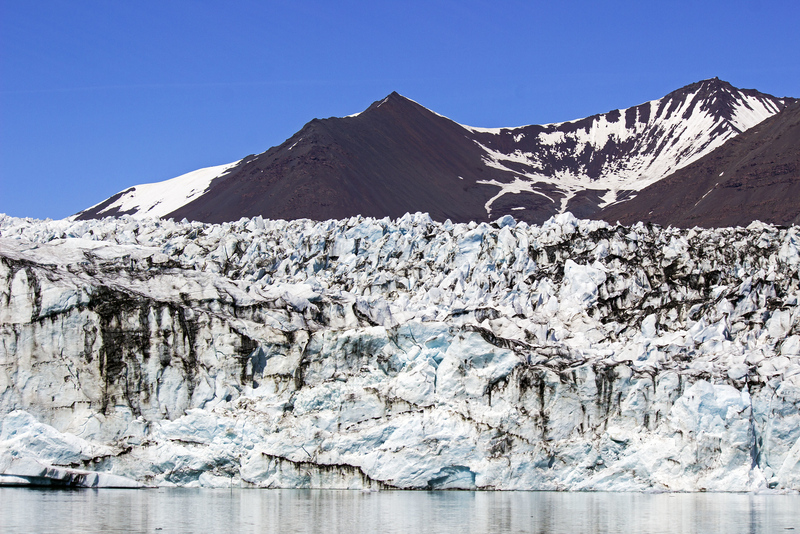 Finally, we approached the glacial wall, gliding past it as closely as possible. 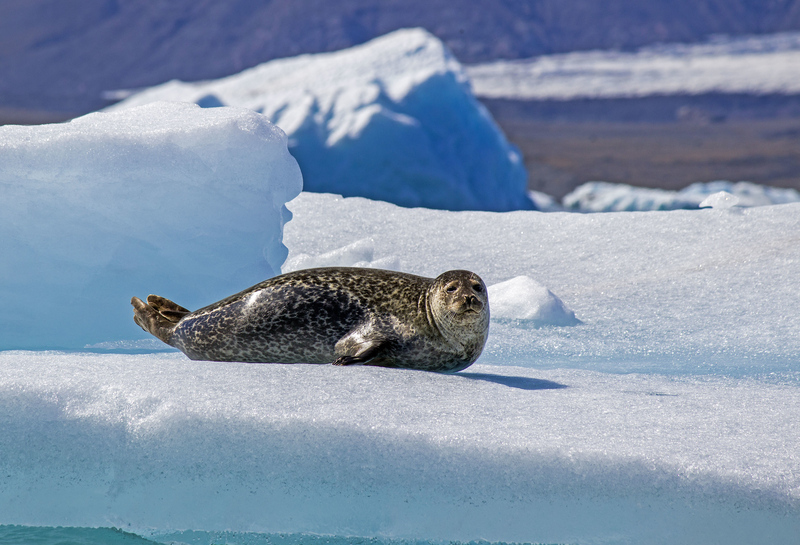 We even got to see a lounging seal, soaking up the sunshine from a floating iceberg. 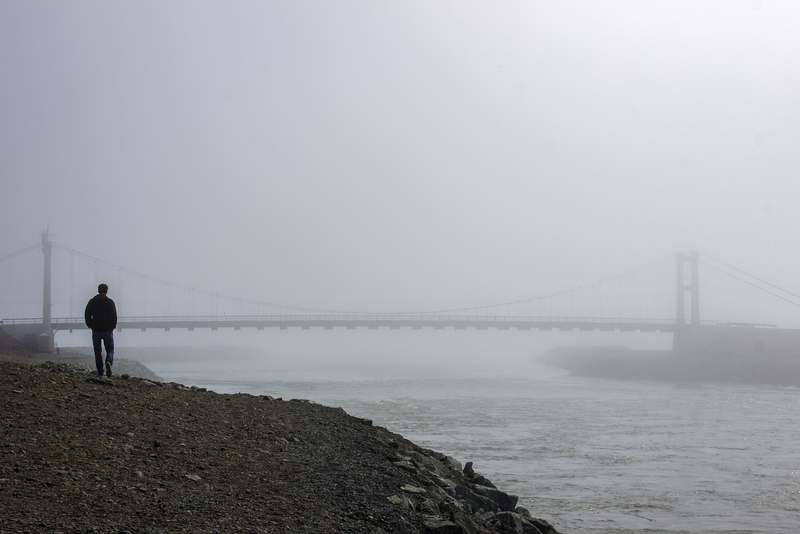 Back on the shore, the air was shrouded in a dense fog. 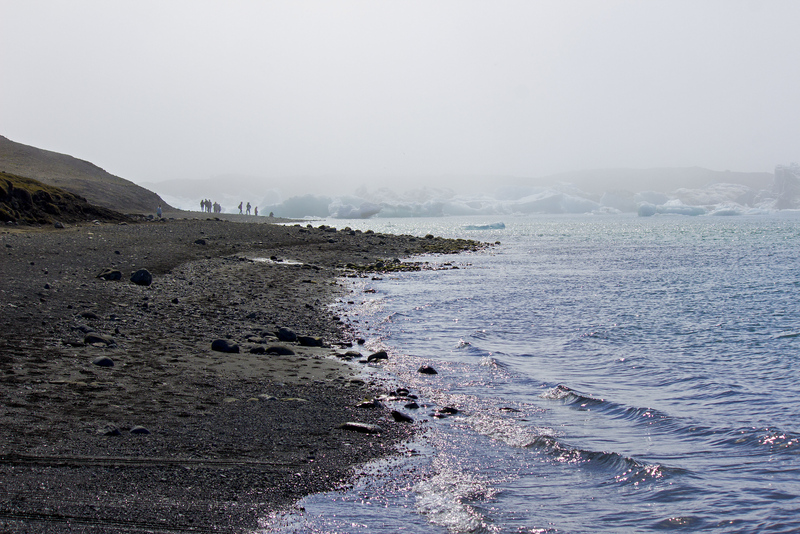 We stood on the black, volcanic sands and watched the massive chunks of ice slowly drift through the gray haze. 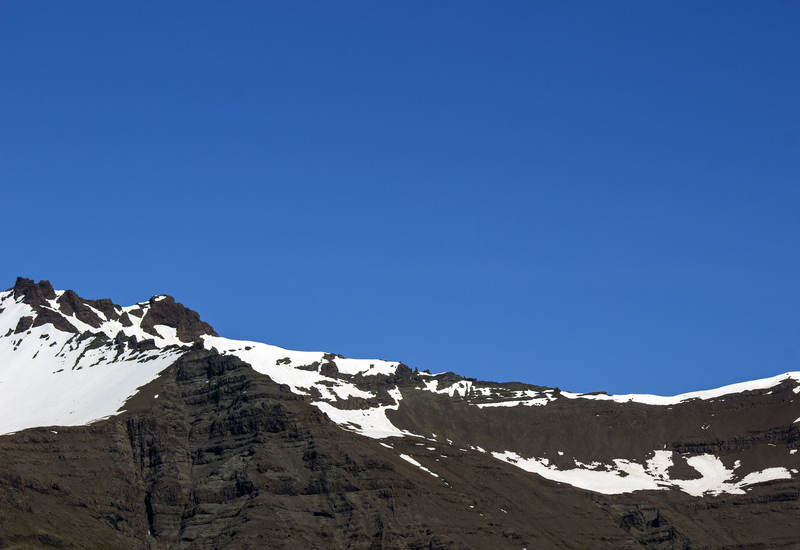 Can’t get enough photographs of Iceland? 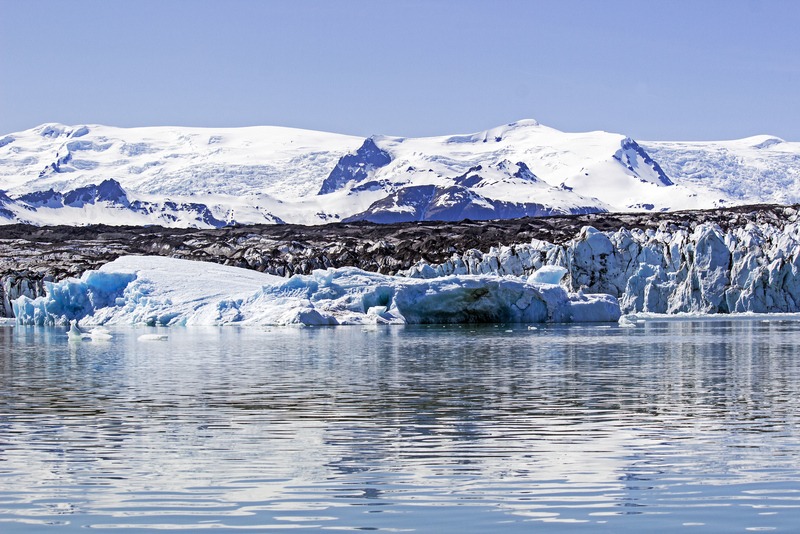 You’ll find our collection of Iceland photos in our travel photography section. You can even purchase our prints directly from the site! 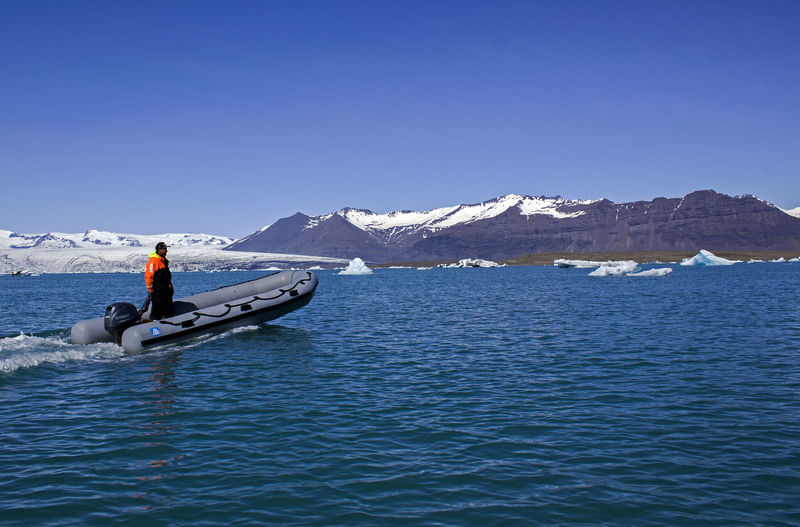 Plan your trip in advance to avoid disappointment, especially if you’re thinking about booking a Zodiac boat tour. The boat ride itself is about 40 minutes long. 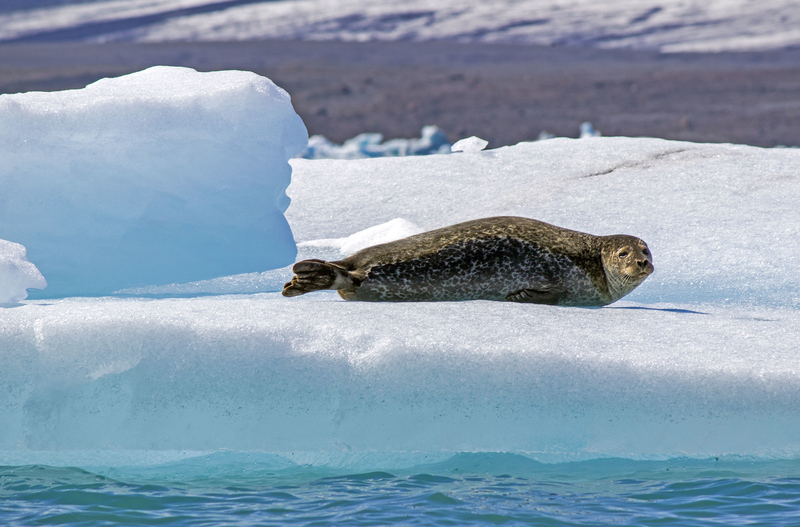 The boat tours operate from early May until September. Inquire in advance as it all depends on the weather and the changing seasons. You can’t miss the lagoon from the Ring Road in southeast Iceland. 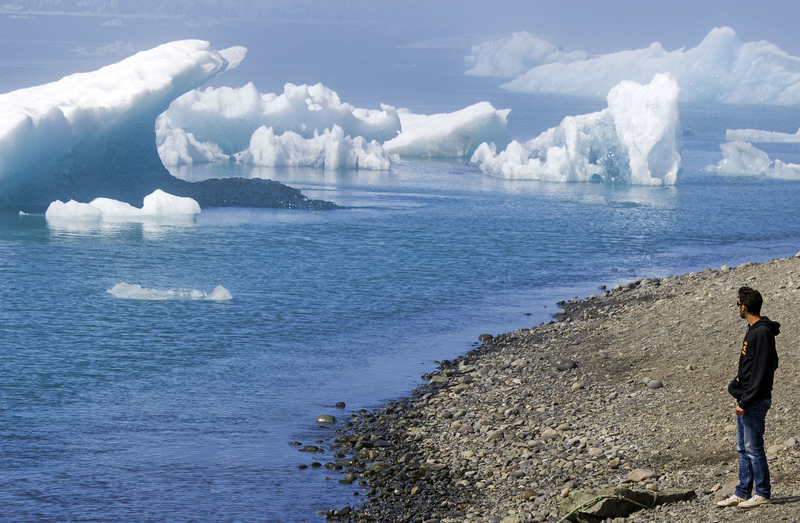 You’ll drive across a large bridge, and you’ll see icebergs floating on either side of the road. 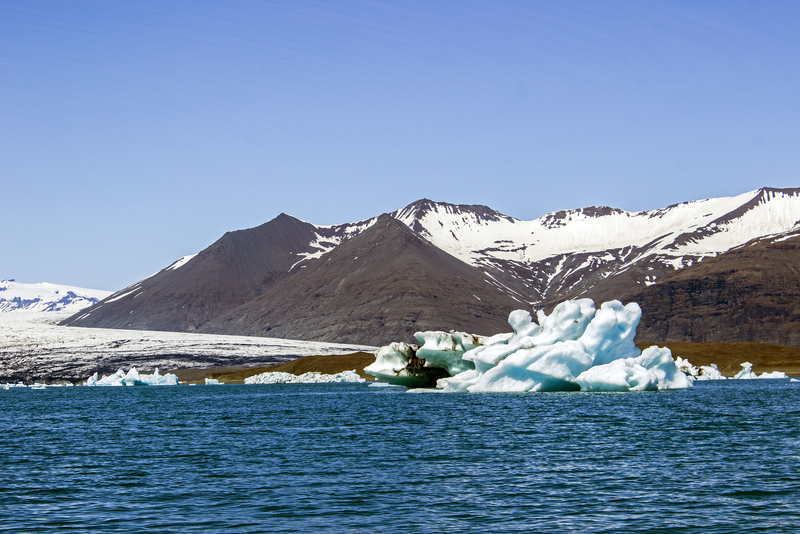 That’s Jokulsarlon lagoon! 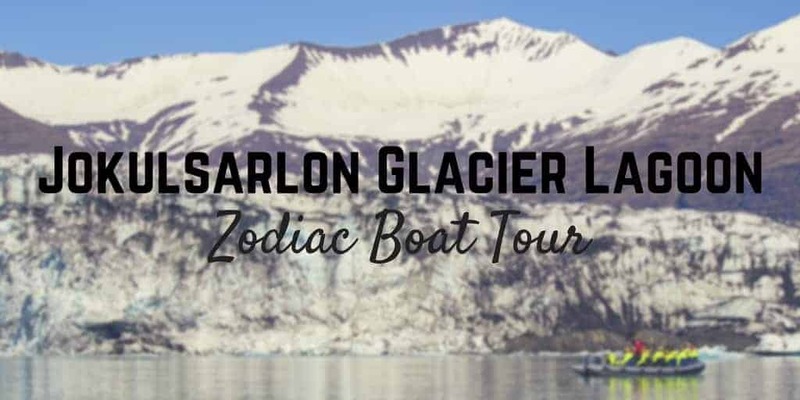 Visit the Glacier Lagoon website for online booking and more details. 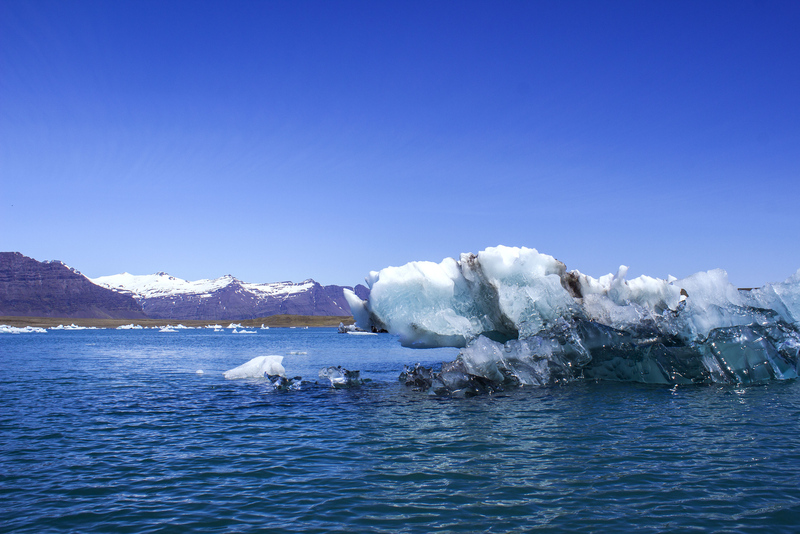 Interested in visiting another glacier lagoon in Iceland? 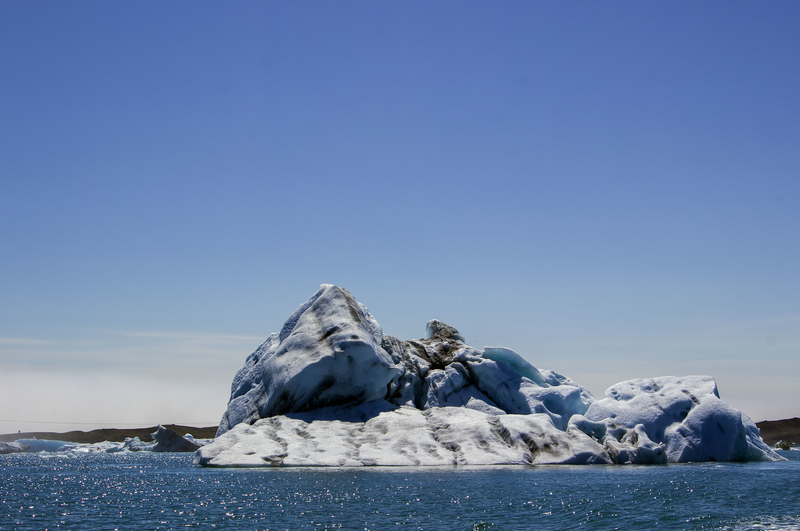 Check out Casual Travelist’s trip to the Fjallsarlon Glacier Lagoon, an equally brilliant destination (and on my bucket list for next time)! 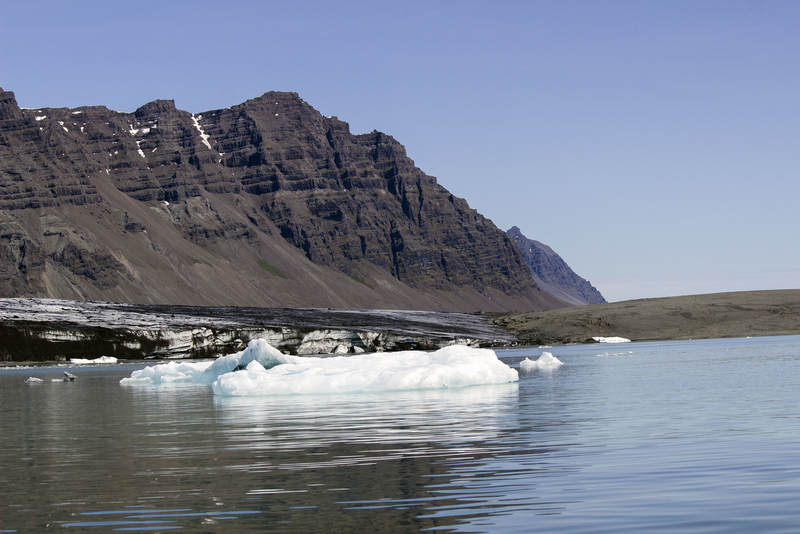 Here are some more great ideas for what to do in Iceland! I’m low key obsessed with Iceland at the moment. I never really thought about doing a boat tour but your experience looked amazing! The landscape is so stunning over there. Love all of your photos. I definitely need to make time soon to visit. This was one of our favorite spots in Iceland! We didn’t do a boat tour bc of timing, but we were in a campervan so we camped right on the lake. Seeing the northern lights that night was just phenomenal and out of this world! Great photos! We want to visit Iceland it looks like such a wonderful place to visit. 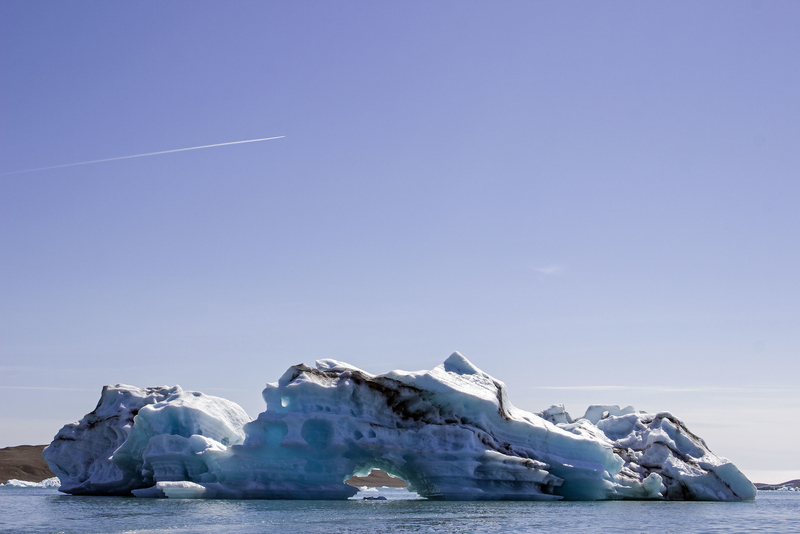 This tour looks great as you get to get so close to the icebergs and the glacier. When we get a chance to get to Iceland this will on our list of things to do. 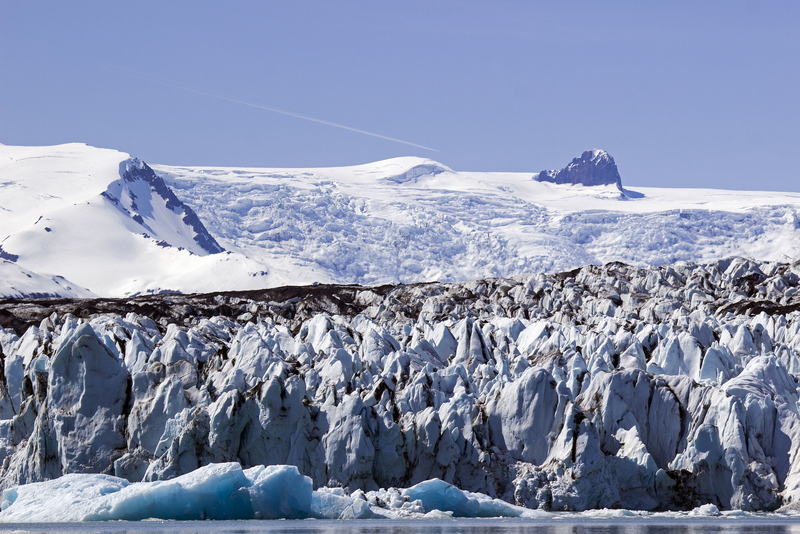 The glaciers and icebergs look spectacular. I’m definitely putting Iceland on my bucket list. The scenery looks a bit like Antarctica though I’m sure it’s not as cold. When is the best time of year to go? Does it get really cold? Guys, this tour looks amazing! Something that only a privileged few should be able to explore. The environment seems so vulnerable and precious. You were so lucky to grab all of those amazing photos! 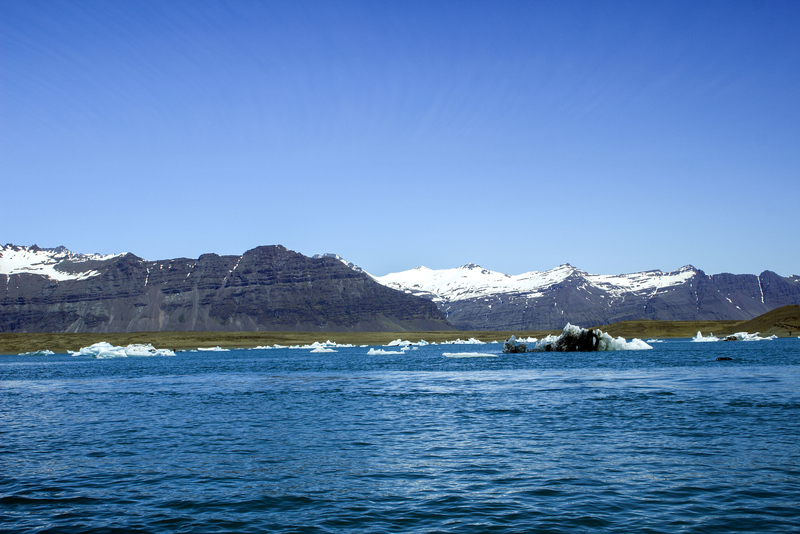 Read so many articles, seen so many videos and heard from so many travelers about Iceland. 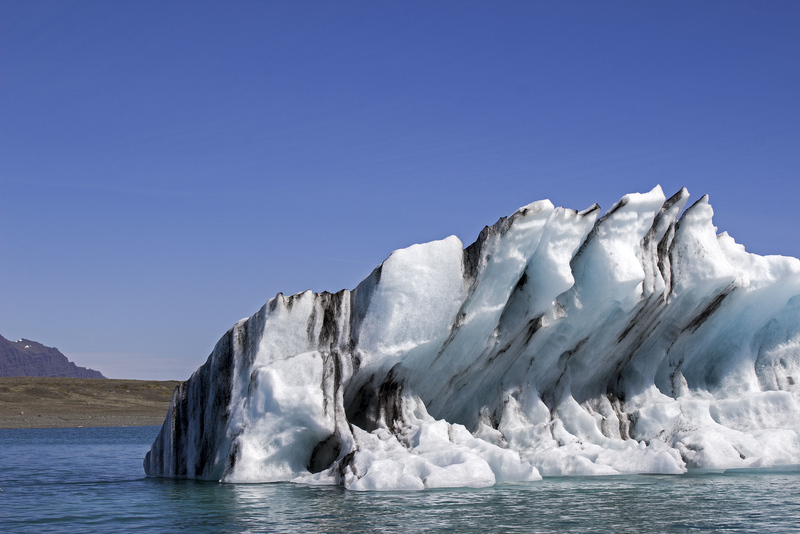 It is definitely on my list, but reading about your Jokulsarlon glacier tour has just piqued my interest even more. Those ice chunks look huge. Since way more ice is below the surface than can be seen, were you able to see the outline under the water? I guess global warming is having a significant effect. What beautiful bunch of photos! Makes me want to go there. I especially liked the one with seal. Wow. Just wow! Your photos are incredible! Wow, amazing! We are heading to Iceland next summer and will definitely do that! Wooooow really it’s a great and amazing experience, I just love your pictures all even in instagram incredible pics. If you are interested in an amazing and experienced unforgettable trip / tour in Morocco ,contact us! Wow what an experience. My husband and I are visiting in a couple of weeks. 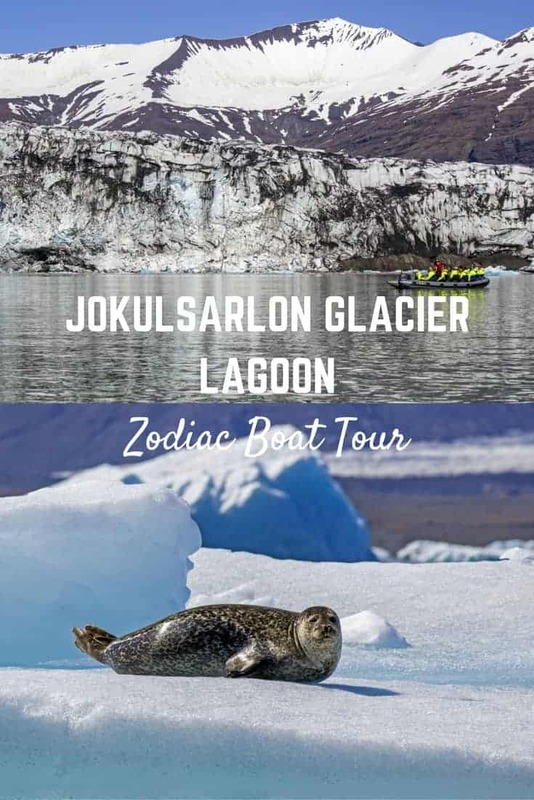 Do you recommend taking our DSLR on the Zodiac tour? Or using a waterproof camera? Just amazing. Just starting at these photos made me so happy. Looking forward to visiting this place. I am sure that it will be a memorable trip. Thank you for sharing.